Hyderabad, Jan 29: Former Union Minister and senior TDP leader Ashok Gajapati Raju on Sunday launched the most anticipated book ‘NTR A Biography’ based on the life journey of N T Rama Rao, former Andhra Pradesh Chief Minister, and legendary actor. Addressing the book launch function, Raju said that NTR with his extraordinary qualities proved mettle in cinema as well as politics. Recalling his old association with the TDP Founder, the senior TDP leader said that the maverick actor’s political acumen and mass appeal can only be matched with the great the great Jayaprakash Narayan. He further added that as the head of National front, despite serious political difference, BJP and left came on-board only because of NTR. On this occasion, the Vizianagaram MP who was a Minister in NTR’s Cabinet lauded the efforts of former bureaucrats Dr. K Lakshminarayana and K Chandrahas for penning down the inspirational story behind the phenomenon called NTR. 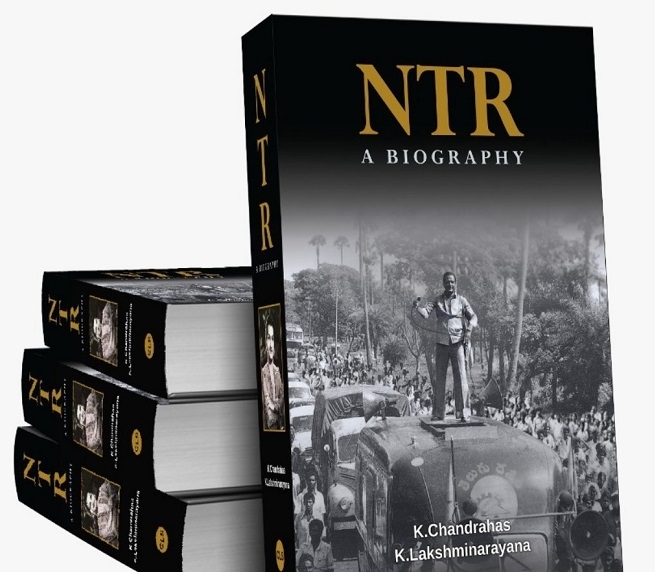 Under the banner of CLS Publishers, ‘NTR A Biography’ is the first English book which will give a detailed insight into NT Rama Rao's journey from a celebrated actor to the reformist Chief Minister. The 662-page book will provide many rare and unseen photos and unreported events about the most celebrated Chief Minister of the state.